There was a heavy police presence both outside and inside Lisburn Magistrates' Court as the four men appeared, remaining handcuffed and flanked by riot police at all times. 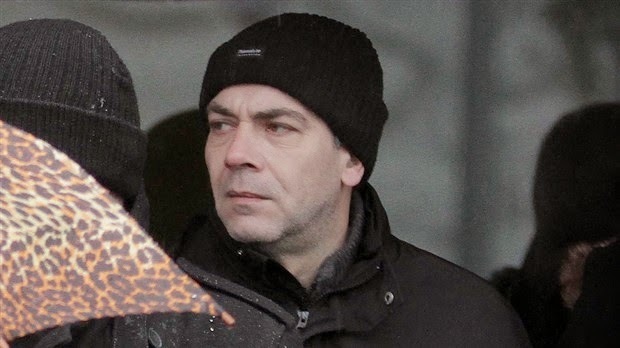 Alleged terrorist leader Kevin O'Neill, 58, from Coolnasilla Park South, faces charges of IRA membership and directing the activities of the proscribed organisation on dates between 1 December 2013 and 25 June this year. The other three, 37-year-old Robert Warnock O'Neill, from Bingnian Drive, Daniel McClean, 47, from Hannahglen Heights and Mark Gerard Heaney, 48, from Lagmore Glen, all in west Belfast, are also charged with IRA membership on the same dates. 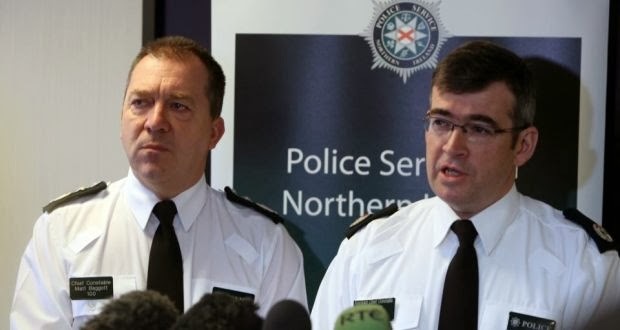 They are also jointly charged with conspiring together and with other persons unknown to inflict grievous bodily harm with intent "on persons unknown" between the same dates, along with counts relating to the false imprisonment of 'person A' and collecting information "of a kind likely to be useful to a person committing or preparing an act of terrorism" on 6 February this year. While Robert O'Neill faces a single count relating to the alleged possession of a firearm with intent to endanger life, Heaney faces three firearms charges including having a gun and silencer with intent on 10 April this year and a further charge that between January last year and last April, he "authorised the carrying out of an attack on an unknown person to assist the commission of GBH with intent". The charges arise after the men were arrested in west Belfast and Dunmurry on Tuesday by police investigating punishment attacks. A detective sergeant told the court he believed he could connect all four to each of the charges and as no bail applications were lodged, District Judge Rosemary Watters remanded them into custody to appear again 21 July via videolink. She also granted legal aid for all four. Clapping, cheers and shouts of "tiocfaidh ár lá" could be heard from the public gallery as the four men were led away in handcuffs. A small crowd of supporters clapped and cheered as the defendants were driven away from the court in two police vans escorted by armoured Land Rovers.